Just as Simmons is dedicated to delivering cutting-edge technology in poultry processing, we are also focused on making information on our poultry processing products easily accessible through the latest technology. To that end, we recently launched our new responsive website that provides product details and contact information at your fingertips. Take time to explore the site now. 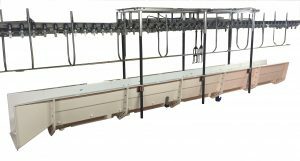 Simmons Engineering will once again be exhibiting at the annual International Production and Processing Exposition, the world’s largest annual poultry, meat and feed industry event of its kind held in Atlanta, Georgia from January 30 – February 1, 2018. 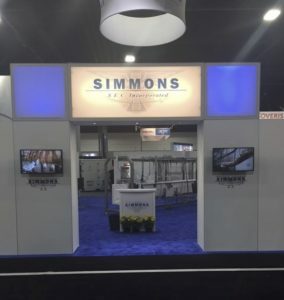 Visit the Simmons team and get a look at our latest equipment and innovations in Booth C741, in Exhibit Hall C.
Find us on the IPPE Interactive Floor Plan here. Simmons is pleased to announce that the patent for our revolutionary SF-7016 Stunner was recently approved.